I’ve just uploaded a new video onto my Youtube channel showing off a new library I found recently on the Basic4Android.com forums. It’s called accelerated surfaces and it look really useful for getting access to OpenGL accelerated graphics using simple commands. “This library provides a dedicated drawing surface embedded inside a view, which benefits from the hardware acceleration. With it, you get the speed of OpenGL for 2D without the complexity. It’s recommended to use it with Android version 3 and up to get the full benefit from it. It will work on 2.1 – 2.3 devices, but you won’t get hardware acceleration. 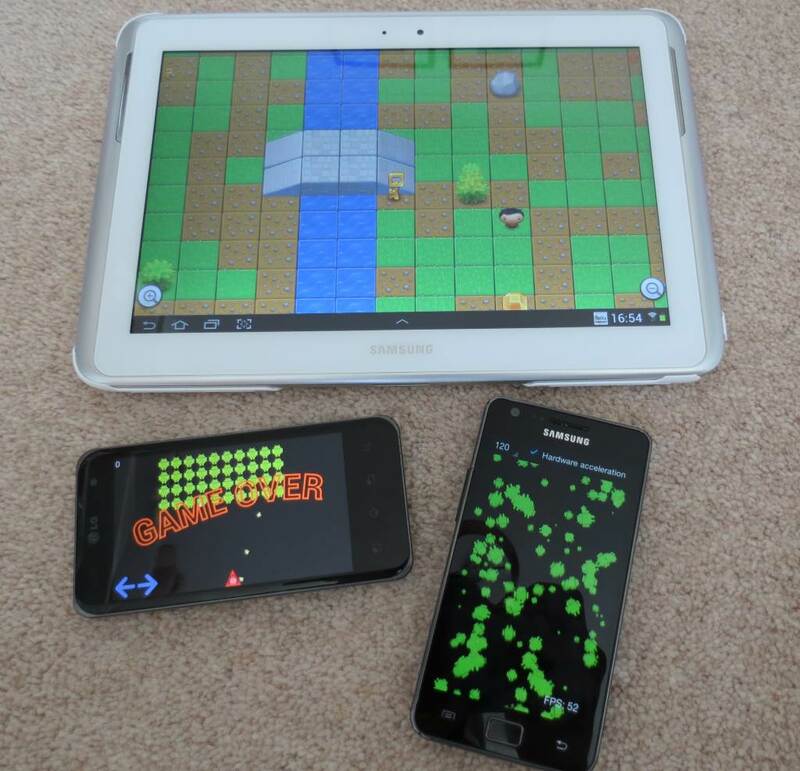 I’ve added a picture here showing it running on three different devices. If you look closely you’ll see the Galaxy S2 with the 120 Androids falling down the screen is running at over 50 frames per second. Which is great!